We have nearly reached the end of another busy term! The children are really enjoying our Secret Garden topic and this will continue after the holidays. They have enjoyed challenges to create a clay flower and to work in a potting shed where they have to work out how much it will cost to plant their seed and write instructions for looking after it. They may be bringing these home. Next week we will be walking to the church on Wednesday afternoon to watch the Easter Service which is led by Year 4. We are still short of parents to walk down with us so if you are able to come, please can you let your child’s teacher know. On Thursday afternoon it is the Spring Fayre. Infants may be collected from their classrooms from 2pm to attend the Fayre (please note that juniors are collected from 2.30pm onwards). Children will not allowed to go unaccompanied but may attend the Fayre after school if they are picked up at the usual time. School finishes for the Easter holidays on Friday 7th at 1pm. Children may bring a more substantial snack that morning as they won’t be having lunch at school. School begins again after the holidays on Wednesday 26th April. Children will need their swimming kits on these days, including a swimming hat. Please make sure that children don’t wear earrings on these days or have them taped up. If you are able to help the children change for swimming or are happy to go in the water with them, please let your child’s teacher know. We will be leaving school at 9am and returning by 11.30. If you are able to help with this trip, please let your child’s teacher know. Thank you for your support and we hope you have an enjoyable holiday. In Literacy this week we will be doing some work based on a short animation called ‘Book of Butterflies.’ This will encourage the children to make their writing more exciting by using the word ‘suddenly’. In maths we will be counting in 2s, 5s and 10s and then using these counting skills to help us count larger numbers in groups. Please click here for some activities which you might like to do with your child at home. Please could you continue to send your child to school with a coat as we go outside in all weathers. Even if it is sunny and warm when they come to school, we could get rain later on in the day. On Wednesday 5th April we will be walking to St Martin’s Church to watch the Easter Service which is being led by Year 4. If you are able to help accompany the children on this walk, please could you let your child’s teacher know. We will be leaving school at 1.15pm and will return by 2.30pm. The Year 6 Spring Fayre takes place on Thursday 6th April. Please see the letter below for details. 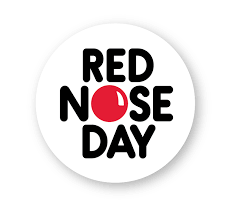 Just a reminder that children may come to school on Friday wearing something red for a donation of 50p which will be given to Comic Relief. Please could you ensure that children’s red noses have their names on!! In Literacy next week we will be finishing our work on the Gruffalo as well as giving children the opportunity to work on their individual writing targets. In numeracy next week we will be learning about finding halves and quarters of both shapes and numbers. If you would like to help your child with this at home, they may enjoy cutting food into halves and quarters eg. cutting a sandwich into half then quarters (squares or triangles! ), breaking chocolate in half to share it with someone etc. Can they find half or a quarter of a small number of their Lego bricks? If you would like to send in a photo of any halving or quartering which they do at home, we would love to see them. In the Discovery Zone we will be beginning our new topic ‘The Secret Garden’ which will continue until after Easter. We will be thinking about growing and planting as well as learning about minibeasts and their habitats. If anyone is a keen gardener and would like to come and work with the children to prepare the garden and do some planting, we would love to hear from you! On Friday 24th March, to raise money for Comic Relief, children may come to school wearing red for a donation of 50p. Red noses are on sale now in each class and these are £1 each. We’re afraid that children may only buy 1 nose each so that we have enough for the whole school. We shall be continuing our work using money to add totals and find change. Some children have found using coins a bit of a challenge this week, and so any additional work at home making amounts using coins would be very helpful. A way to extend this could be to ask your child to find as many ways as they can to make an amount e.g. how many ways can you make 6p? 13p? 49p? Next week we shall carry on working on the text the Gruffalo. The children will be describing the Gruffalo and other characters from the story using good descriptive language e.g. terrifying, pointy purple prickles, claws as sharp as needles. This means that a short sentence can be extended to become longer e.g. The snake slid away from the Gruffalo. The snake slid away from the Gruffalo because he was scared that he would be eaten. Just one final reminder that if you still have a Readathon sponsorship card and money at home then please could these be brought into school as soon as possible. Red noses will be on sale in school next week priced £1 each. Our school council reps will be selling these in the classrooms during the day. Please note that we only have enough noses for 1 per pupil. To raise money for Red Nose Day we are having a ‘wear something red day’ on Friday 24th March. Children are invited to come along dressed in red (or wearing something that is red) for a donation of 50p. The children really enjoyed making pancakes this week for pancake day. Thank you to the parents/grandparents who came to help. In Literacy next week we will be looking at the story of The Gruffalo. We will have lots of Gruffalo based challenges in the Discovery Zone. In maths next week we will be doing some work on money. Please click here for some money activities which you might like to do with your child at home. A reminder that PE is on a Wednesday. Please could you ensure that your child has their PE kit with appropriate shoes on this day. Mrs Boscher’s Class are doing outdoors PE this half term so will need warm clothes, including a jumper. Miss Horsepool and Mrs Bramley’s Class are doing indoors PE this half term so will just need their PE shorts and white t-shirts. If any parents/grandparents are able to come in and help with listening to readers, either first thing in the morning or at 2.30 we would be really grateful – please speak to your child’s teacher if you are able to help.